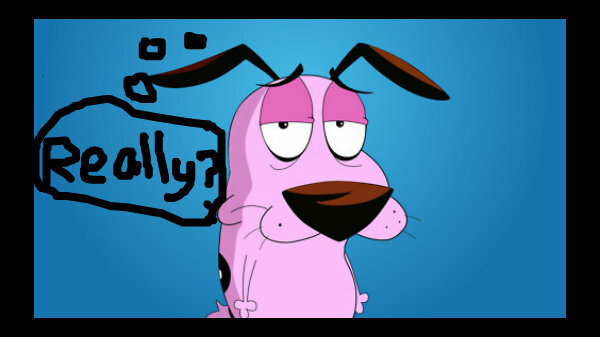 Courage annoyed. courage is annoyed when 你 look at him a lot. Wallpaper and background images in the Courage the Cowardly Dog club. This Courage the Cowardly Dog fan art contains 动漫, 漫画书, 漫画, 卡通, and 漫画卡通.